Speakers' Spotlight – Speakers’ Spotlight Holiday Gift Guide! Speakers’ Spotlight Holiday Gift Guide! Do you have some hard to shop for people on your list this year? Not to worry, the Speakers’ Spotlight Holiday Gift Guide is here to help. With gifts ranging from what to give the fiction lover on your list to the rock music connoisseur, we’re sure there’s something for almost everyone here! 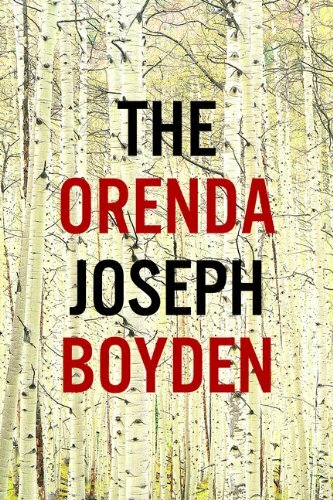 Joseph Boyden is a national and international literary superstar. Shooting to fame with his first novel, the multi-award winning Three Day Road, Joseph has repeated his triumphs in his subsequent novels, Through Black Spruce and The Orenda, which won the Canada Reads competition this past March, and was nominated for the Scotiabank Giller Prize and the Governor General’s Award for Fiction. Soprano Measha Brueggergosman is one of the most magnificent performers and vibrant personalities in the world. Her new album, Christmas, is a compilation of covers and originals. “I want to breathe life into songs that people know extremely well,” she said to The Toronto Star. Along with recognizable favourites such as “Little Drummer Boy”,” “The Christmas Song” and Joni Mitchell’s “River”, there are two original works that she co-wrote, “Let Joy Reign” with Royal Wood, and “If You can Dig It”, with Aaron Davis. Corporate Comedian | Emcee | Host of Eat St. In addition to his work as a corporate emcee and entertainer, James Cunningham is the hilarious host and associate producer of the incredible hit TV series Eat St., which airs on Cooking Channel USA, Food Network Canada, and in more than a dozen other countries around the world. Bringing together the best recipes from four seasons of the show, the Eat St. book features over 125 mouth-watering recipes from the top food vendors from all over North America and the U.K. 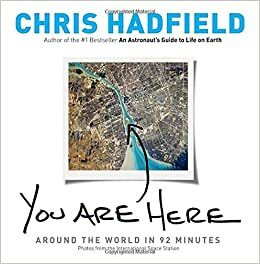 The millions of us who followed Chris Hadfield’s tweets from space thought we knew what we were looking at when we first saw his photos of Earth. We definitely caught the beauty but we may have missed the full meaning. Now, with a collection of his favorite, never-before-shared images, Chris helps us see the big picture: why our planet looks the way it does and why we live where we do. Drawing on his in-depth knowledge of geology, geography and meteorology, he takes us on a planetary photo tour – an idealized orbit of Earth – and explains the mysteries these stunning images reveal. As host of television’s pre-eminent entertainment news program, Entertainment Tonight Canada, Cheryl Hickey greets over half a million loyal viewers each night as she relays in-depth profiles, breaking news coverage, and behind-the-scenes exclusives. The products in her new skincare line, Ours, are designed to look after the delicate skin of parents and children alike. Dr. Brian Little is a personality psychologist and an expert in personality differences, group dynamics, and project management. Elected a “Favourite Professor” by the graduating classes of Harvard for three consecutive years, he absolutely delights audiences with his prowess at the podium. In Me, Myself and Us, Dr. Little explores questions that are rooted in the origins of human consciousness, and provides a resource for answering such questions through a framework readers can use to explore the personal implications of the new science of personality. No job in the world of sports is as intimidating, exhilarating, and as stress-ridden as that of an NHL hockey goaltender. Now imagine doing that job while suffering high anxiety, obsessive compulsive disorder and depression, and having your career nearly cut short by a skate slicing across your neck. Clint Malarchuk shares his extraordinary and heart-wrenching life story—which includes his long battle with alcoholism and almost ending his life by a gunshot to the head—in his new memoir, in his relentless effort to help end the stigma of mental illness and to help others who may suffer as well. Loved by audiences across Canada for making complex scientific issues understandable, meaningful, and fun, Bob McDonald is in high demand. A fixture in broadcasting for more than 30 years, he is currently the host of CBC Radio’s Quirks & Quarks–the award-winning science program that is heard by 500,000 people each week. 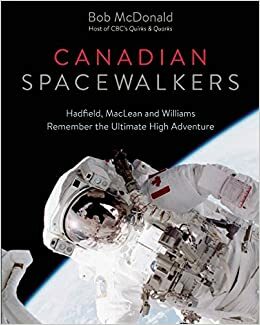 In Canadian Spacewalkers, Bob shares stories of Canadian spacewalkers who tell tales of training underwater in the world’s largest swimming pool, recount how they learned to use power tools in zero gravity while wearing bulky gloves, and describe the moment when they opened the hatch and stepped outside. Celebrity chef David Rocco brings his passion for food and healthy cooking to millions of kitchens every day through his worldwide hit television programs David Rocco’s Dolce Vita, David Rocco’s Amalfi Getaway, David Rocco’s Dolce Brazil, and his newest program, David Rocco’s Dolce India. He is also the author of two internationally bestselling cookbooks, and now, he’s proud to introduce his line of made-in-Italy wines to LCBO stores across Canada. The line features a Pinot Grigio, a Chianti and a Prosecco, all affordably priced to enjoy with any meal, and even in cooking (of course). Barbara Stegemann’s entrepreneurial vision was formed after her best friend—a soldier—was severely wounded in Afghanistan. Understanding that supporting Afghanistan’s economy was a key to building stability for its people, she created The 7 Virtues Beauty—a company that sources organic oils from countries experiencing turmoil (such as Afghanistan, Haiti and the Middle East) to encourage change and to reverse the effects of war and poverty. This year, Barbara unveiled the lines’ newest scent, Patchouli of Rwanda, which features soothing green hibiscus, red grapefruit, cedar flower and freesia notes compliment the earthy patchouli. David Usher is a creative tour de force. As the front man of the internationally acclaimed rock band Moist, and as a solo artist, David has sold more than 1.4 million albums, won countless awards–including five Junos–and performed at sold-out venues around the world. After a 13 year hiatus David is back with Moist and making music again. Their new album, Glory Under Dangerous Skies, is getting rave reviews, which doesn’t surprise us at all.